basements, you can take it with you! – RV Cheaper! 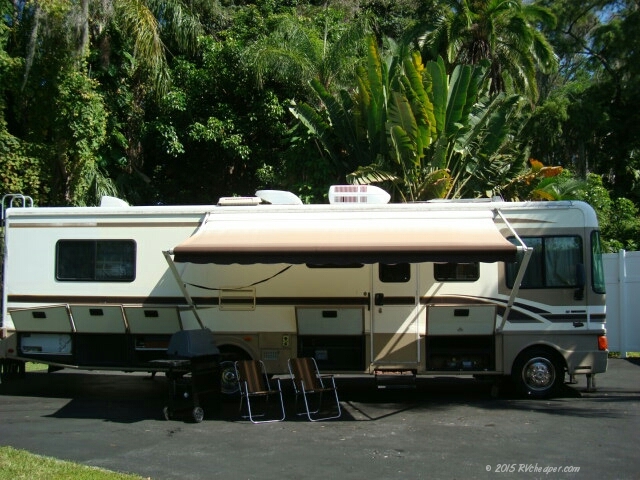 October 6, 2015 October 31, 2015 RV Cheaper! basements, you can take it with you! 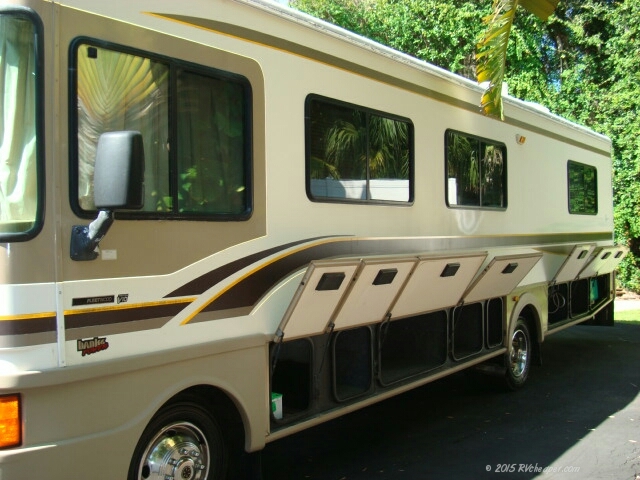 One of the features on my RV shopping list was basement storage, as big, as much as I could get. One of the things I loved about the Bounders were the big compartments and basement doors. Granted the gas RV basements don’t hold a candle to the Diesel RV’s, but the Bounder is one model that had some of the biggest basements I could find. I use propane tanks for lanterns and camp stove when we are out boondocking. When we are in the woods, we pretty much live, cook and eat outside. The bathroom and bedroom are the only places we spend any time at indoors when dry camping. Luckily the deeper compartments on the drivers side allowed me to get the propane tanks in and were not connected to other compartments, best ventilation and not near electric devices to make it safe to store. Big doors and I thought big compartments but, the weatherstripping and liners took away some of that space. This side is where my outdoor kitchen, lanterns and propane goes (The deeper compartments forced me here). Once you get moved in, you will figure out the best place for things if you keep trying different ways and places to put your stuff. One of the other things I learned was to get the stuff we use most often (chairs, etc) on the side where the door and awning are at. Don’t be afraid to mix it up until you find the right combination. Previous pinterest for RV trip planning??? Next to booth or not to booth, what was the question?